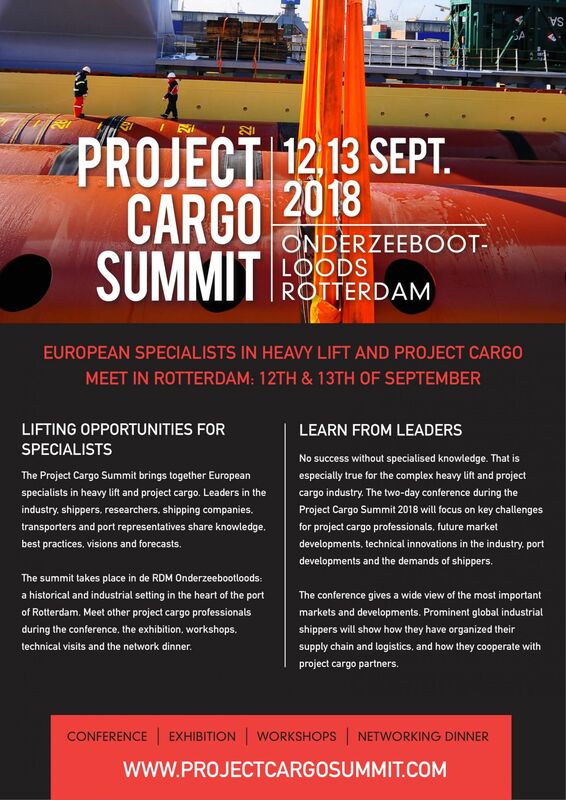 From the 12th to the 13th of September, Rotterdam will host the very first edition of the Project Cargo Summit – an event for international specialists in Heavy Lift and Project Cargo! Broekman Logistics is one of the exhibitors and official partners of this summit. The exhibition is held to benefit all parties involved in this complex sector of transport and logistics. Industry leaders, researchers, shipping companies and port representatives, everyone interested in the latest insights and developments in the sector are invited to participate in the conference. Raymond Riemen, Broekman’s CEO is one of the host speakers who will join the discussion from a breakbulk terminals perspective: how to deal with constantly changing demands in the market? 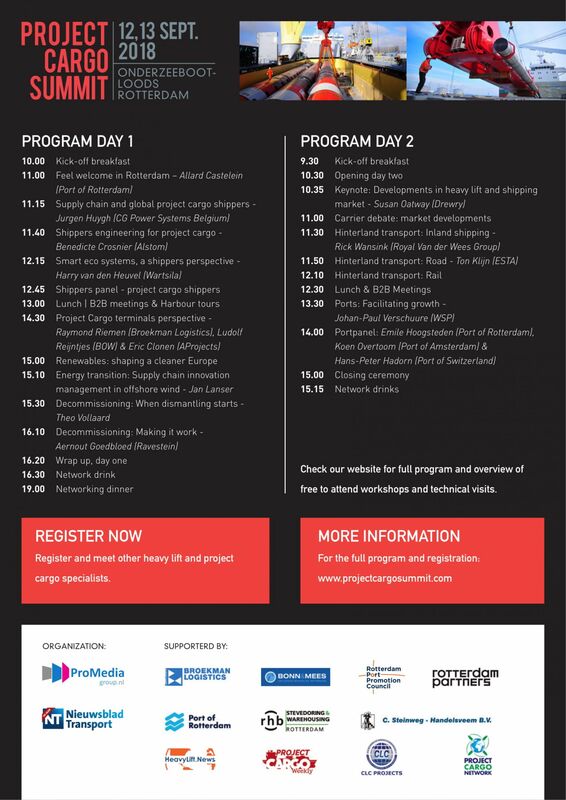 The Project Cargo Summit is not only about gathering extra knowledge, it promises to be an excellent platform to network with your peers in the port of Rotterdam. Interested? Meet our breakbulk experts from 12th to 13th September in Rotterdam.